Periodontic gum therapy protects the health of your teeth and gums. It has been estimated that 3 out of 4 adult Americans suffer from some form of gum disease. Of those, only a few realize it before it’s too late. At Dental Designer, periodontic gum therapy in our dental office protects the health of your teeth and gums, and in turn your entire body. If left untreated, the outcome of severe gum disease, also known as periodontitis, can be devastating. Periodontitis is a chronic inflammatory condition and has been linked to tooth loss, heart attack and stroke, diabetes, certain forms of cancers, and even low birth-weight in the babies of pregnant women. Proactive and preventive dentistry is the key to warding off any chance of periodontitis. Staying consistent with oral hygiene exams is the best way our guests can help keep their grins and their bodies healthy. This will help Dr. Harmanpreet Kaur properly diagnose and begin periodontic treatments as soon as any signs of advanced gum disease are present. 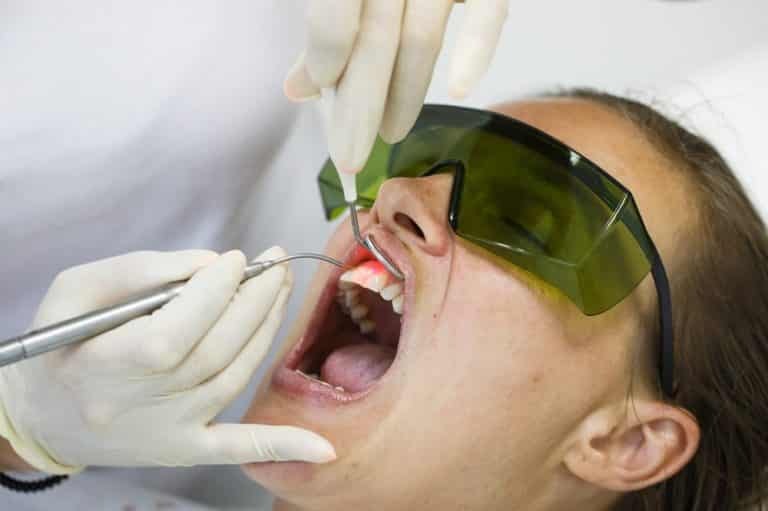 The gentle skill of our talented hygiene team and high-end dental techniques and equipment make periodontic gum therapy in our office successful and comfortable. If gum disease is suspected, treatment will begin with a scaling and root planing procedure. With the assistance of laser dentistry, we are able to stop periodontitis in its tracks in order to prevent it from spreading. In advanced cases, periodontal surgery may be needed. Gum disease is a silent condition that often goes unnoticed until gum and bone damage is severe enough that it can’t be ignored. If you suspect you may have gum disease, don’t hesitate to get the periodontic gum therapy you need. Dr. Harmanpreet Kaur and our qualified hygiene team have the skill and tools to help. Call us today.